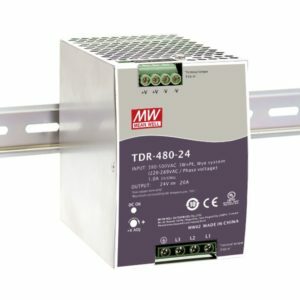 Three-phase 340~550V AC wide range input (dual-phase operation possible). Built-in active PFC function compliance to EN 61000-3-2. High efficiency of 93% and low power dissipation. Protections: Short circuit, overload, over voltage, and over temperature. Built-in constant current limiting circuit. Can be installed on TS-35/7.5 or TS-35/15 DIN rail. Current sharing up to 3,840 Watts (3+1). Built-in DC OK relay contact. 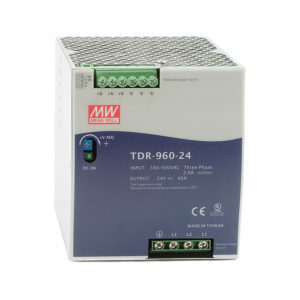 UL 508 (industrial control equipment) approved. EN 61000-6-2 (EN 0082-2) industrial immunity level.